The Rev. Dr. Harold A. Carter Sr., senior pastor of the New Shiloh Baptist Church whose Sunday preaching on the radio brought him an audience beyond his congregation of 5,000 members, died early Thursday of cancer at his daughter’s Bowie home. He was 76. Dr. Carter preached many revivals and had appeared with the Rev. Ralph D. Abernathy, president of the Southern Christian Leadership Conference. Family members said that Dr. Carter stopped preaching on Sunday mornings on WBAL-Radio earlier this spring. He had been on the radio for decades and for many years spoke on Sunday evenings. Born in Selma, Ala., he was the son of Dr. Nathan M. Carter, a well-known professor of Old Testament studies. He attended Crozer Theological Seminary and earned a doctorate at St. Mary’s Seminary and University in Roland Park. Dr. Carter moved to Baltimore in 1965, when he became pastor of the New Shiloh congregation, which then worshiped at Fremont Avenue and Lanvale Street. The church had about 800 members. He was active in civil rights issues in the 1960s. In 1968, he was a local coordinator for the Poor People’s Campaign, a national movement that rallied support for African-American causes. He also wrote “The Prayer Tradition of Black People,” published in 1976. His son, Dr. Harold A. Carter Jr., now leads the congregation, which is housed in a church at 2100 N. Monroe St. The complex that the Carters established includes senior citizens housing, a theological institute, a music school and a children’s center. Rep. Elijah E. Cummings issued a statement saying his “heart is heavy” as he learned of the passing of Dr. Carter. “Pastor Carter was a true friend and mentor who blessed my life in countless ways. I often turned to him when I was facing difficult decisions, and he provided the wise counsel of a spiritual father,” Mr. Cummings said. His wife of 48 years, Dr. Weptanomah Bermuda Washington Carter, died in 2006. In addition to his son, survivors also include a daughter, Weptanomah Carter Davis of Bowie; and four grandchildren. He is also survived by three sisters, Marian, Blanche and Dorothy. Funeral arrangements are being planned at the Vaughn Greene Funeral Home. WINSTON-SALEM, NORTH CAROLINA – The Rev. 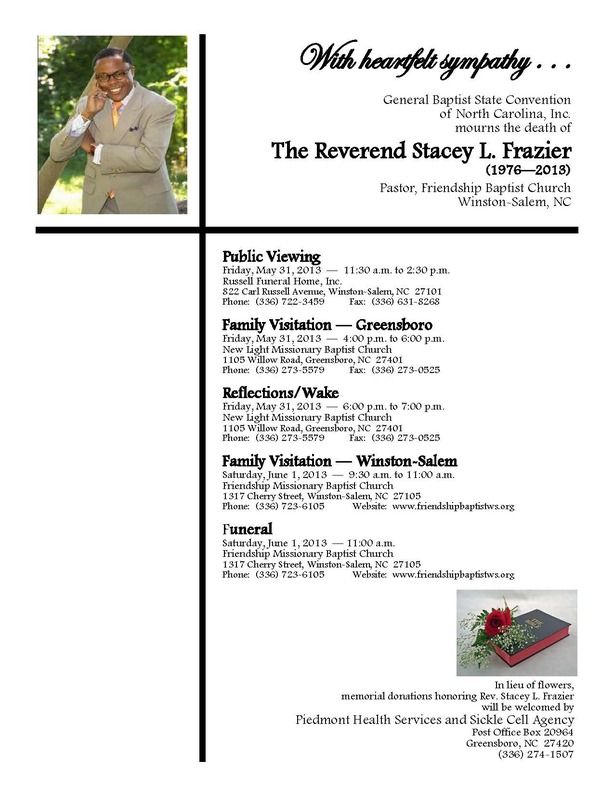 Stacey Frazier, pastor at Friendship Baptist Church, died Tuesday of natural causes. 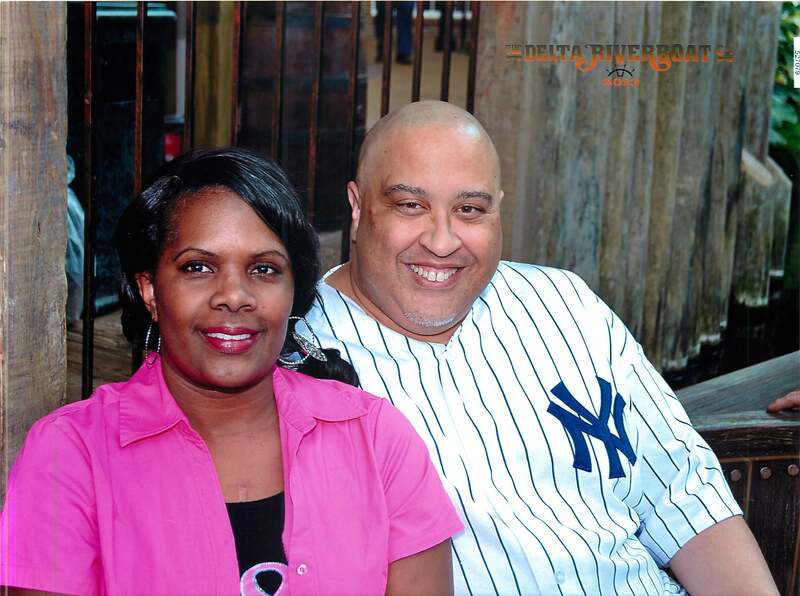 He was 36 and had served as pastor of Friendship for six years. Frazier started preaching when he was 10, said his mother and the Rev. Cardes Brown, the pastor at New Light Missionary Baptist Church in Greensboro. Brown said he was skeptical when the young Frazier first told him that he was called by God to preach, but soon realized that Frazier was committed to serving the Lord. Before coming to Friendship, Frazier served as an associate pastor at New Light. Frazier, who suffered from sickle-cell anemia, realized that he might live a short life, Brown said. Sickle cell is a condition in which there aren’t enough healthy red blood cells to carry oxygen throughout the body. “He handled that extremely well,” Brown said. Frazier graduated from Dudley High School in Greensboro and Morehouse College in Atlanta, where he received a bachelor’s degree in religion and philosophy, according to his biography on the Friendship’s website. Frazier also studied at the Duke University Divinity School and the Gordon-Conwell Theological Seminary. Frazier received a doctorate in divinity at Apex School of Theology in Durham. Frazier was the youngest person to be inducted into the Martin Luther King Jr. Hoard of Preachers at Morehouse College, according to his biography. He also had worked as a White House intern in the Clinton administration and was on the staff of former Georgia Gov. Zell Miller. “He will be sorely missed,” Brown said. In the morning, I will be in the hands of the medical community as I go through a surgical procedure that will, we pray, remove the traces of melanoma (cancer) from my body. This has been a whirlwind of a month. In the matter of hours, I’ve had to make some decisions, make some moves, do extensive planning, in order to deal with this infirmity. 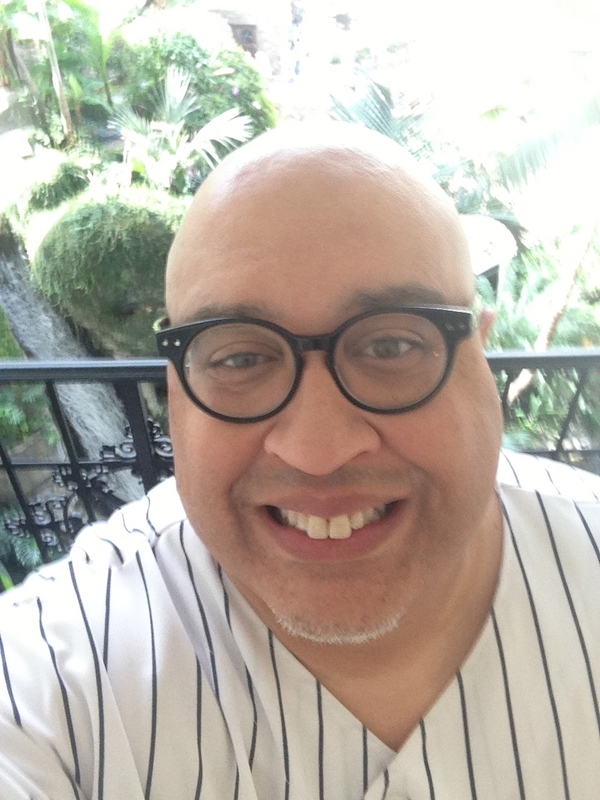 It has had collateral effects upon my wife, my family, my extended families – First Baptist Church (Frankfort), Westwood Baptist Church, University Center (Nashville), and my network of colleagues, hometown friends in Portland, and those who I have ministered to across the country – especially in Portland, Fresno, and San Diego. I’ve been overwhelmed by the kindness, generosity, phone calls, prayers – especially the prayers. A pastor called me from Macon, Georgia yesterday and said, “Pastor Houston, you don’t know me, but I know you through the years from the internet and your blog. I just called to encourage you and to have prayer with you for your healing and restoration.” As he prayed, the tears rolled down my face and I told the Lord thank you placing me upon his heart. So tomorrow is the big day. Barring any complications, the doctor’s plan is to excise an amount of skin, down to the fat layers of skin, about an inch or so in diameter, where the original cancerous cells were discovered. Then she will graft skin from my torso into that area, requiring sutures in both areas. The skin removed will then be processed in the pathology lab to see if the melanoma is just superficial (best case scenario) or if it is further in and deeper down (worst case scenario). We are praying that it has been caught soon enough to be limited to a superficial exposure. If it is further, then the possibility of (very worst case scenario) of spreading to bone or lymph nodes. However, my doctor is very optimistic that this is not the case. Today the phone has already been ringing off the hook. Received calls from the surgeon’s office, the hospital pre-admission staff, the nursing staff, and the anesthesiologist’s staff. Yes, I truly have a medical team! I’ve tried to be transparent in this process to help us as a people. I am a man of faith, live my life by faith, give by faith, preach by faith – and my faith teaches me that trials and tribulations may affect me but they won’t disturb my faith in God. If my transparency can encourage someone else, then God gets the glory, not I. I’ve been encouraged by watching the example of ministers who were going through their season of illness and by their stance of faith, it is like a rewind button, and I hear their voices in my ear – Dr. Melvin Von Wade, Sr., Dr. Hayward Wiggins, Dr. O.B. Williams, Dr. T.L. Lewis, Dr. E.K. Bailey, Dr. Charles Booth, Bishop Rudolph McKissic, Jr. – whether recent or some years ago, I remember that the attack upon the body did not diminish or decay their preaching. I’m even looking forward to my return to the pulpit. Obviously that date has yet to be established but I am thankful for the leadership of First Baptist Church – Dea. Alonzo McCoy (Deacons), Bro. Gus Ridgel (Trustees), Rev. Anna Jones (Assistant to the Pastor), Sis. Pat Ross (Secretary), Ministers Timothy Taylor and Pamela Lawson-Black (Lead Associate Ministers), and others who are committed to doing the work of the Lord and holding things together until my return. As I said Sunday, when a pastor is ill and going to be out of the pulpit for hours or weeks, it is not a “church holiday” – all hands have to be on deck to continue the mission of the Lord. Your comments are welcomed . . . The Rev. James Turner Sr., longtime pastor of New Hope Baptist Missionary Church in Nashville, died Monday. Turner, who was 71, was a former moderator of the Nashville City Missionary Baptist District Association, a former vice president of the Baptist State Convention of Tennessee National Baptist Convention of America Inc., and a longtime member of the Interdenominational Ministers Fellowship. He has been pastor at New Hope since 1972. The Rev. Enoch Fuzz of Corinthian Baptist Church was a classmate of Turner’s at American Baptist College. He said Turner was great preacher and good friend. Turner had been hospitalized with heart trouble, said the Rev. George Brooks of Saint James Missionary Baptist Church in Nashville. Brooks said he visited with Turner’s wife Donzetta last night, and a few hours later got the call that his friend had died. Brooks said Turner had been active volunteer with National Baptist Convention of America Inc. at its annual meeting and had befriended pastors from around the country. Details about his funeral and visitation are pending. In less than 72 hours I will be undergoing removal of an infirmity – a melanoma. Never would I have thought that this would be my destiny although cancer is a strong family characteristic on my maternal side. Cancer has affected relatives heavily on that side of my family and now, I am counted in that number. Even though the prognosis is good, nothing is set in stone until this surgical procedure and the following diagnosis/prognosis. I just finished my Bible Study – the last one I’ll be teaching for a while. On Sunday, I preached (albeit sitting down) – the last one I’ll be preaching for a while. I’m wrapping up paperwork, letters, correspondence, projects so that by Thursday I can focus solely on my surgery. However, I am caught in the apex of peace. In the midst of what could happens, what might happens, and the uncertainty of the results, I am experiencing an indescribable peace. I’ve been showered with calls, letters, cards, texts, Skypes, and emails of concern literally from around the world. I’ve heard from Pastors like Bishop Rudolph McKissick, Dr. Melvin Von Wade, Sr., Dr. C.E. 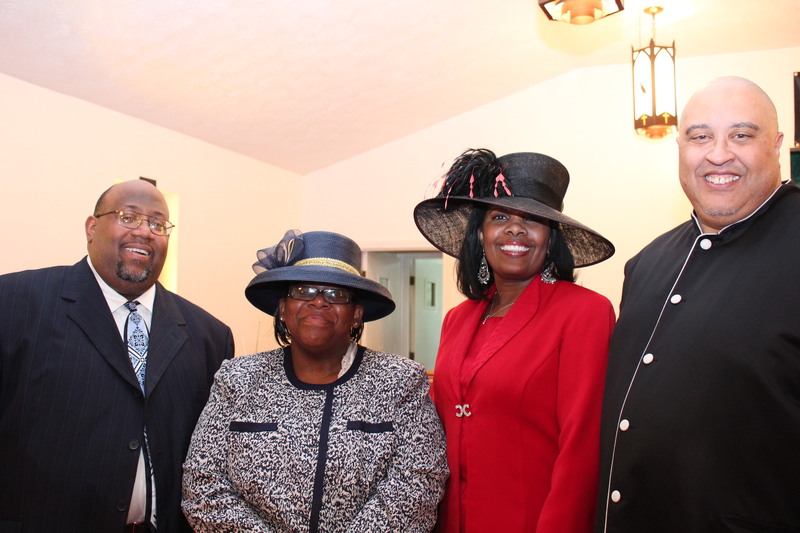 Gaines, Dr. James Perkins, Dr. Carroll A. Baltimore, Sr., Dr. William Calhoun, Rev. Darron LaMonte Edwards, Sr., Rev. James Walter Hills, II, Overseer Jonathan McReynolds, Rev. Kip K. Banks, Minister Barton Elliott Harris, Dr. J. Linzie Whitmill, Rev. Dennis Hubbard, Dr. Raymon H. Edwards, Sr., Dr. Johnny Pack, IV, Rev. 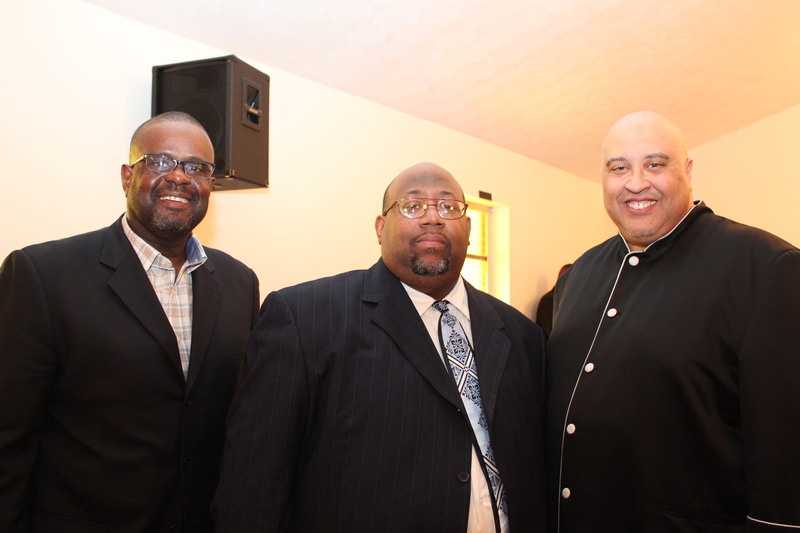 Christopher Waters, Dr. Keith Ogden, Rev. Clifford Williams, Rev. Bryant Bacon, Dr. A.B. Vines, Sr., Rev. Matthew J. Thornton and many, many others who have called out of their concern and many who have had prayer with me. I’m grateful. My wife, Jessica, has been a trooper through this but it has taken a toll. Her mom was admitted to the hospital last week and I know that placed a tremendous burden upon her. On top of all of this my secretary, Pat Ross, experienced the sudden loss of her daughter, Mona and my pastor, Minister Barton Elliott Harris, experienced the loss of his mother, Sarah Clardy Harris. And, of course, the nation’s attention has been focused on the tornadoes in Oklahoma. It is a stressful, trying time – but I am experiencing a level of peace like I’ve never known. I went through a whirlwind in San Diego through a personal storm, but never knew peace like this. I’ve lost loved ones and buried my dad and my father in the ministry but never knew peace like this. My body has had a constant, stabbing pain in my foot that was so intense on Sunday I had to sit and preach. I pray that whatever you’re going through in life that you will find this peace in your storm. Recent Artwork . . . I just want to share some artwork I’ve created lately. I’m so thankful for what I learned at Cuyamaca College in El Cajon, California and at Morris Cerullo World Evangelism on how to give things a polished, professional look – I’ve been able to use those talents here at First Baptist Church, at the Progressive National Baptist Convention, the Kentucky State Convention, the American Baptist Newspaper, and Westwood Baptist Church, University Center. Enjoy! Your comments are welcome! The Hangover Part III is a comedy film produced by Legendary Pictures and distributed by Warner Brothers Pictures. It is the sequel to 2011’s The Hangover Part II, and the third and final film in The Hangover film series. Starring: Bradley Cooper, Zach Galifianakis, Ed Helms, Justin Bartha, Heather Graham, Kim Jeong, John Goodman, Melissa McCarthy, Mike Epps. Many people complained about The Hangover Part II was too much like the original The Hangover. That complaint won’t be repeated with Part III. The movie reunites the Wolkpack – Phil, Stu, Alan and Doug, who once again is a minor character in the movie. This one could have easily been called “Alan’s Song” as he is clearly in the driver’s seat of the movie. Zach Galifianakis, one of the craziest talents in movies, pulls off a full range of emotions – but crazed lunatic to star crossed lover to brave friend to compassionate human being. This movie is entitled a comedy by its advertising but actually it’s more drama than comedy. Actually there are less than 10 very funny parts to the movie and Zach is responsible for most of them. Ken Jeong’s character Mr. Chow is easily the co-star of the movie, and it revolves around him. Brother into the last of the series is Heather Graham, for a very brief cameo, but the one who steals the movie is Melissa McCarthy. I’m hoping and hoping for a Zach-Melissa movie based on their two characters – the possibilities are endless. The script was much better than Part II, but I fear that it won’t get the response that its predecessors received. I went to the mid-day showing and there were less than 10 people in the theatre. If you want a good story with very little comedy – this is your movie. If you want a comedy movie, by-pass this one for the video/Netflix. 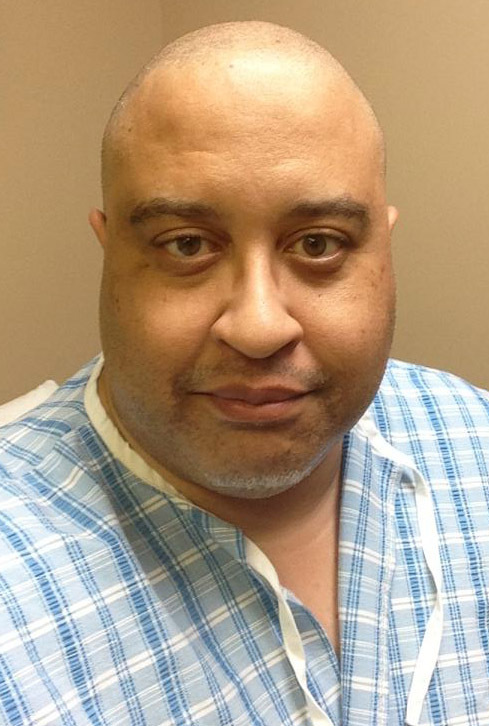 Photo of me today at the Surgeon’s office in Lexington, Kentucky. Today Jessica and I spent her birthday at my surgeon’s office. I met with my surgeon in our get acquainted appointment and pre-op before surgery. 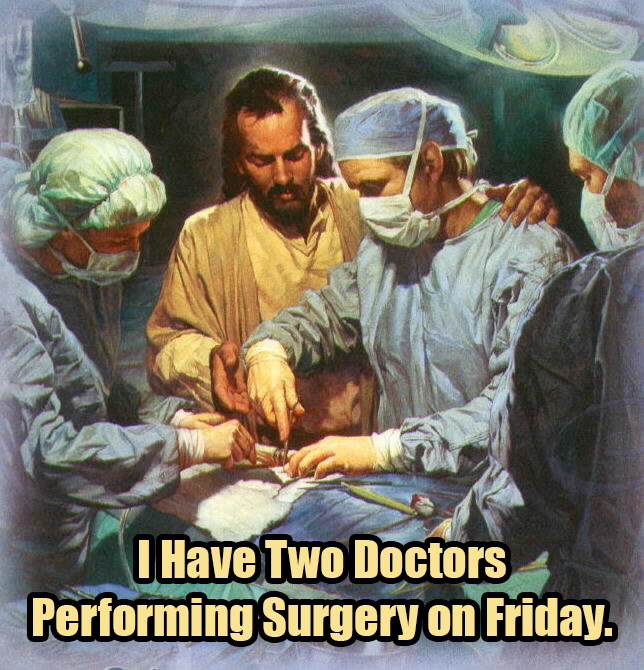 My physician has been doing this type of surgical procedures for about 20 years. Chicago born, educated in several medical institutions across the nation, and not only that, I discovered she’s a woman of faith. Praise God. She explained to us that skin melanoma (the infirmity I’m dealing with) has two different directions. It can go either horizontally (topically, on top of the skin) or it can go vertically (into the bones or lymph nodes). She also explained that she observed a small speck of remaining cells from the biopsy and her opinion is to operate and remove a good amount of skin from the area and transplant skin from my hip to replace the skin that’s removed, via a skin graph. I appreciated her patience with Jessica and I as we asked a multiplicity of questions. I’m not one that’s known for going into anything with blinders on, so I had a lot of questions in mind – especially about complications, recovery, post-surgical care, etc. She fielded every one of my questions and when necessary broke it down from the medical dictionary to common terms. No surgical procedure is without risks. This surgery has it’s share: First, there is a risk that the skin graph will fail; Secondly, there is a risk that infection could set in; Third, there is a risk that I could develop potentially dangerous blood clots; Fourth, there is a risk that not enough tissue will be removed after pathology and additional surgery would be required. However, I had to continually remind myself of something that Dr. Bernard Sutton reminded of it – don’t claim the illness; don’t call it by it’s clinical name – call it by its biblical name, an infirmity. And remember that Jesus heals infirmities! After about two hours, we left the doctor’s offices more encouraged than ever before. She said the big positive in my prognosis is the early detection of the infirmity (melanoma), which means an advantage. I’m so grateful for those in the medical profession – and grateful for my unseen doctor, who will be in the operating room with me. So the surgery is set for Friday, May 31, 2013. I’ll be in recuperation for several weeks. I’m grateful for the leadership of First Baptist Church who have been prayerful and have given loving counsel. Their concern for me, my health, and my wife – makes me grateful for the Lord’s assignment to this church and community. I’ve heard from civic leaders, church leaders, fellow pastors and ministers, and friends across the nation who are concerned. I’ll be okay – by the grace of God. The next step is a major step. However, the good news is that I will not make that step alone. I’ll be going into the operating room with my help in a time of trouble. I ask you for your prayers between now and May 31, 2013, which is the next step. I ask you for your prayers. Recently, I was made aware by my physicians of a concern regarding a mole upon the sole of my right foot. I have since undergone two surgical procedures – a biopsy and removal of that mole, which has since been diagnosed as an infirmity – a melanoma or a cancerous growth. Jessica and I are encouraged by the prognosis at present. These types of growths have a very high rate of cure with early treatment. At this juncture, I am waiting scheduling with a surgeon, who will perform surgery and pathological studies upon the region, which will require a period of convalescence. As believers in our Lord Jesus Christ, we cling to our faith in Him and we are further encouraged by the words of Scripture, “For I will restore health unto thee, and I will heal thee of thy wounds, saith the Lord” (Jeremiah 30:17). I pray that one thing that will result of this is that men, African-American men, will heed to the advice of family, friends and physicians and seek medical attention – even if you don’t think it’s a “serious matter.” I encourage wives, significant others, church members to encourage your pastors, husbands, significant others – to become proactive in regards to their health. Had I ignored the concerns of my medical team and my wife, I may have been in a much more serious predicament. I continue forward in the work of the Lord. I’ve heard it over and over and over again from my pastor, Minister Barton Elliott Harris, “The reason why we are alive is that God has more work for us to do.“ I believe that I have much, much, much more work to do for HIM. I will be blogging about this on my website, http://www.roberthouston.org as this process goes on and I pray that as we travel on this journey that God will get the glory for the outcome! I appreciate the support of the leadership of First Baptist Church and even though I may have to sit down and preach – the gospel is just as potent being proclaimed from a chair as it is standing up. I ask for you prayers for me, my beloved wife, Jessica; my family and my extended family at the First Baptist Church, who I know are praying for and I thank them in advance for embracing and encouraging me and my family. I shared this information with my congregation at Bible Study this evening and I left encouraged by their encouragement and prayers. I love you and there ain’t nothing you can do about it! Today was an awesome day in the Lord. Today me and the people of First Baptist Church, especially the Men of Praise Choir travelled from Frankfort, Kentucky some 90 miles to fellowship with Pastor Emmanuel Young and the people of Pleasant Hill Misisonary Baptist Church of Greensburg, KY for his Fourth Pastoral Anniversary Celebration. I have known Pastor Young for years through the internet and when I was called to First Baptist, he was one of the first ministers to give me a call to welcome me to Kentucky. We were both called to our respective churches around the same time and we’ve worked together in several venues, notably he is a board member of the Publishing Board of the General Association of Baptists in Kentucky, where I serve as Chairman. This was not the first time I’ve been in Greensburg as I was privileged to be a part of his Installation Services in 2009 and he has preached for me here in Frankfort at First Baptist Church. Pastor Young, his wife Michelle, and the “Young-uns” (his daughters) were so gracious and the church was very hospitable and y’all listen . . . they can cook! It was off the chain and God be praised for this day. During the morning worship I preached “I’m Going to Dance Anyhow” from 2nd Samuel when King David danced out of his clothes and faced a stinging rebuke from Michal, his wife. I suggested that sometimes we can be overburdened with titles that we forget our primary purpose as worshippers. In the Afternoon I preached, “Called to Do Impossible Things” and noted that Noah was called to build an ark when there is no mention of his credentials or gifts or abilities in building – but he had availability with the Lord. It was a great day and I’m still a little sore in the foot, but God is good! 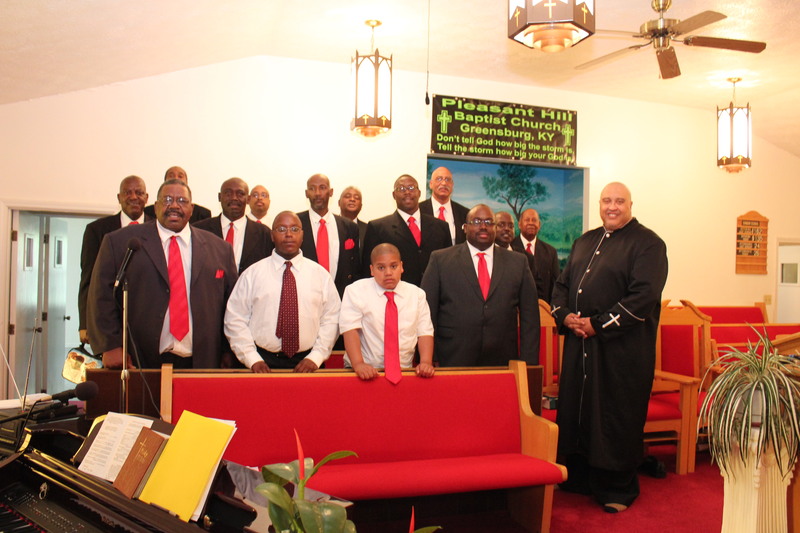 Thank you Men of Praise, First Lady, and the FBC Family that attended. Thank you Minister C.J. Calhoun and Rev. Anna Jones, for preaching at FBC in my absence! I was glad to see one of our Vice Moderators of the General Association, Dr. Michael Rice, who came in at the latter part of the service!